The Backus Arthritis and Rheumatology Center helps patients identify the exact cause of their arthritic pain and creates an individualized care plan based on the patient’s diagnosis and medical history. With a plan in place and the right combination of medications, patients begin their journey to relief and a better quality of life. If you suffer from arthritis, or think you might, you are certainly not alone. According to the Arthritis Foundation, nearly 53 million adults and 300,000 children have some type of the disease. The good news there are steps you can take to relieve pain, increase mobility, and improve your overall quality of life. Arthritis is a general way of categorizing more than 100 different types of joint pain or related conditions. Osteoarthritis and inflammatory arthritis are two different types of the disease that have different causes and symptoms, and require different treatments. Osteoarthritis is defined by structural damage to the joints caused by mechanical wear and tear usually occurring later in life. Inflammatory arthritis—which can occur at any age—is characterized by inflammation of the joints and tissue surrounding the joint. Many forms of inflammatory arthritis—including rheumatoid arthritis—are actually autoimmune diseases which cause the body to “cross signals” and attack healthy cells. Both forms of the disease lead to acute and long-term pain and in some cases permanent disability. 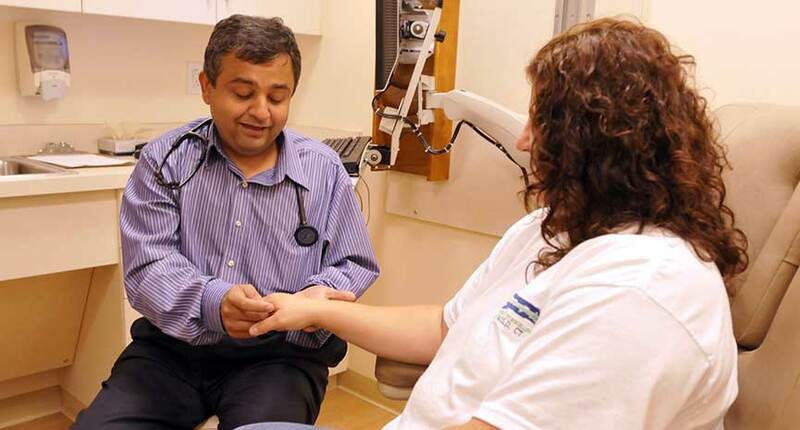 The Backus Arthritis and Rheumatology Center—located in Backus Outpatient Care Center at 111 Salem Turnpike, in Norwich—helps patients identify the exact cause of their arthritic pain and creates an individualized care plan based on the patient’s diagnosis and medical history. With a plan in place and the right combination of medications, patients begin their journey to relief and a better quality of life.